This Frozen Mango Daiquiri is like a little tropical vacation with mangoes, pineapple, and rum! 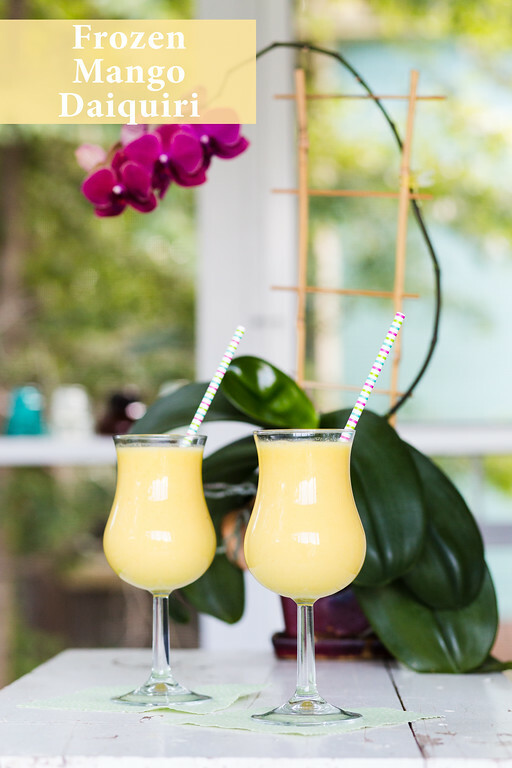 Click here to pin this Frozen Mango Daiquiri now! Post may contain affiliate links, see sidebar for full disclosure. So, remember last week, when I discovered using my Vitamix for frozen cocktails, specifically The Best Frozen Strawberry Daiquiri? Well, I’m sure it comes as no surprise to anyone that I am back this week with another frozen cocktail. Seriously, it’s all I can think about – what frozen cocktail to make next! They are so crazy easy and the Vitamix does all the work. Well, you do you have to do a little peeling and chopping, but it’s so worth it! You’ll want to put them in cute daiquiri glasses! Once again, I found this in the recipe book that comes with the Vitamix. This isn’t your usual little recipe pamphlet, it is 348 pages long! I could easily just work my way through it, learning all the ends and outs of my favorite kitchen appliance. And no, this post isn’t sponsored by Vitamix, I just love it and now that I’m using it for frozen cocktails, I love it even more! 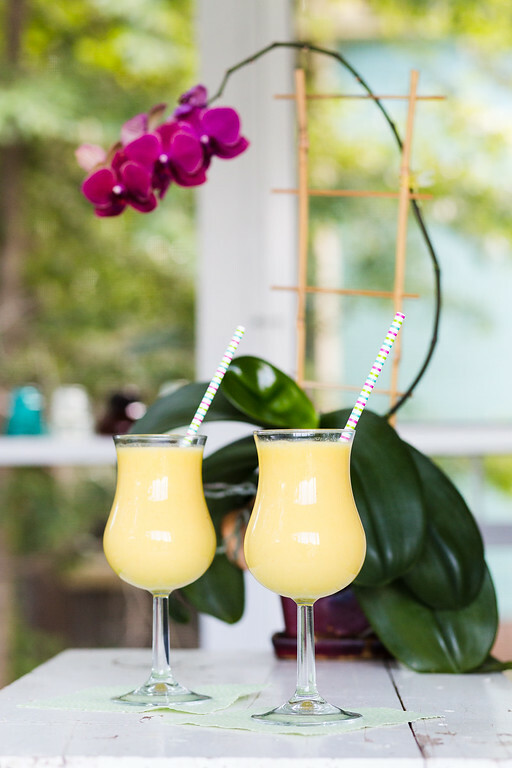 This frozen mango daiquiri was absolutely perfect for sipping on the back porch. It was tart and sweet. The mangoes and pineapple giving it a decidedly tropical flare. The recipe called for frozen mango and frozen pineapple. My mango wasn’t frozen and when I reached in the freezer to get my bag of frozen pineapple, I found out someone had been eating it. All that was left of an entire pineapple that I had cut into cubes and frozen, was two tiny pieces. I guess I’m going to have to hide it in the future. I did have some frozen pineapple juice, so I used that. So good! Place all the ingredients in the blender in the order listed. Turn on low power and gradually work up to high until the desired consistency is reached. Yum! I’ve been into frozen drinks too. The heat has been killing me and nothing is more refreshing! Can’t wait to try this one out. That looks so refreshing for summer! I love frozen drinks…I am so excited to try this out! I just love tropical flavors. It’ll be perfect for sipping by the pool this summer! It’s been a long while since I’ve made myself a frozen cocktail, and I believe that your mango daiquiri is just the one to break the long drought! Thanks for hosting! I’m pretty sure a frozen drink is going to happen here this weekend. Thanks for putting the idea in my head! Frozen mango daiquiri is delicious, mango is my favorite fruit, thanks for sharing with Hearth and soul blog hop. pinning and tweeting.